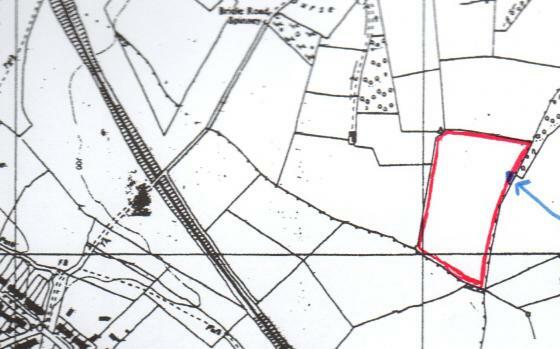 Access to this field is from the Bridle Road through the Rothley Park Golf Course, over the Greens, into Sites 205, 206, and 201 and into the arable field Site 202 which is the most southern point of the Ancient and current Parish Boundary. The main item of interest is recording the Ancient Parish Boundary (RAPS) and this is being done in Stints of 120 metres divided into 4 sections. From its junction with Site 201 Hill Close to the corner of the field the hawthorn hedgerow has very thick, twisted trunks; there are good stands of crab apple, which are covered in blossom. 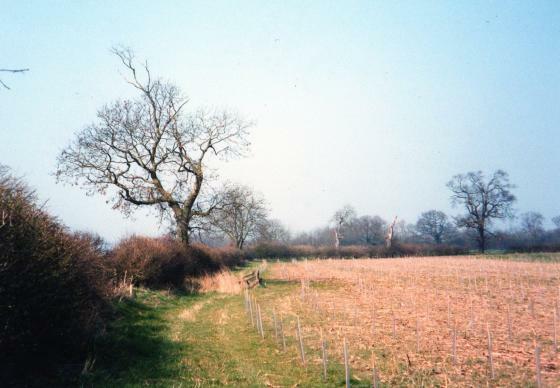 There is a ditch the whole length and two Ash Trees, Trees 247 and 248, which are typical boundary trees in Rothley. At the corner of the field is Three Parish Copse, named by me, as this is where the parishes of Rothley, Wanlip and Thurcaston meet. The actual copse is not in our parish but could have significance for all three parishes and Brian is going to seek out more information about it. There are 8 Oak Trees, Trees 249-256, which I have recorded even though not in the Rothley Parish as I feel that a record should be made for the future. There are no ancient woodland indicator plants such as Dogs Mercury so does not appear to be a remnant of other woodland but specifically planted as the oaks are of the same size. When were they planted and why? The boundary turns at a 45º angle and the ditch continues the whole length down to the next field Site 203. The thick, ancient hawthorn trunks continue on the Wanlip side of the boundary and on the Rothley side there is another hedge of hawthorn and blackthorn with the ditch in-between. 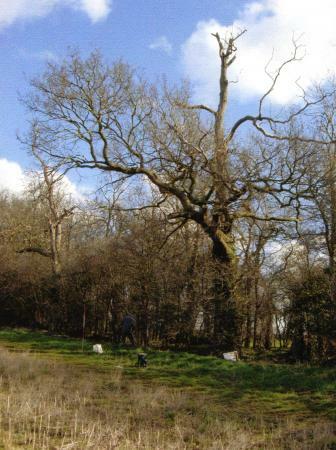 Two Oak Trees, Trees 255 and 249, are in the first stint but we then return to Ash Trees, Trees 520,521 and 522, with other stands of ash not recorded individually. As the vegetation was getting thicker it was also getting difficult to see the features so this part was put on hold until the winter. We resumed our survey on 9th March, it would have been earlier but snow is as big a problem as thick grass so the February start was delayed. At the end of Stint 23 there is an obvious depression like a pond but no water, although it has been a very dry winter, despite the snow. The ditch runs into this depression and starts again the other side although at a higher level. It is interesting to see that there are 5 ancient individual hawthorns around this 'pond' and the Ash Tree 522. The stint ends 10metres to the left of the 'pond', still with a shallow ditch, a very thick blackthorn hedge on the Rothley side and individual ancient hawthorns in a line along the ditch on the Wanlip side. So far, the average age is 400-450 years old. 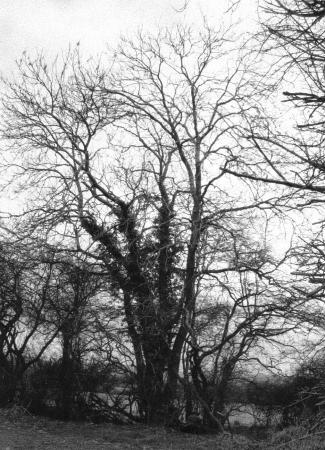 Made enquiries of Anthony Cooper about the 'pond' depression and he said that it had been like that in his lifetime and felt, like me, that it must have been there a long time due to the siting of the ancient hawthorns. 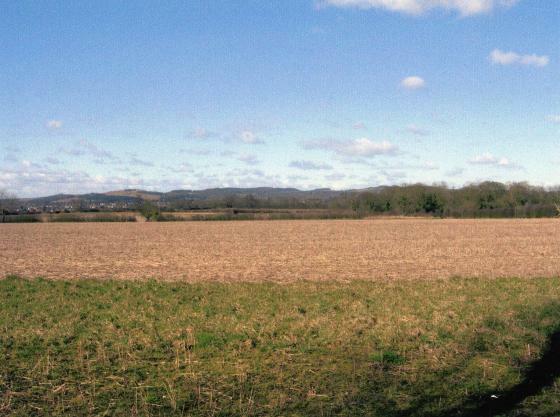 The Rothley Ancient Ecclesiastical Boundary (RAPS) runs along the top of this field and details are attached. Owners: Mr A. Cooper, Southfields Farm, Rothley. The stint starts at the hedgerow that runs between Hill Close and Abbethaws. As in the previous stint there is a ditch and the trunks of hawthorn are thick, old and knarled. The gaps have been planted up with saplings of hawthorn, holly, maple, hazel and blackthorn. There is an Ancient Ash, Tree 247, with a girth of 2.7 metres in the second part of the stint and I have also recorded another Ash, Tree 248, which has a girth of 2 metres. The next 30 metres will see us leaving behind the joint boundary with Thurcaston and we will link up with the Parish of Wanlip. The whole of these stints from the Bridle Road show a hedgerow with old, thick, twisted trunks and this applies to the ash and crab apple as well as the hawthorn, blackthorn, hazel and maple. 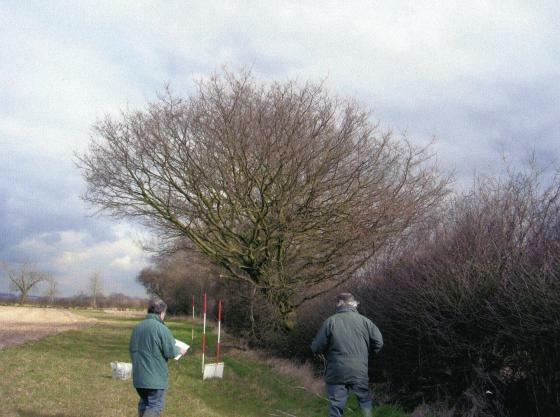 In using Hooper's method of hedge ageing I have not included the sapling species and whilst this method has given an average age of 450 years it has to be said that a 'choice' piece of hedgerow was not singled out as in a general hedgerow survey and other factors need to be taken into account. These include being an Ancient Parish Boundary, a good ditch, wonderful ancient trunks to the trees, some of which have broken down with age, Ash trees planted as part of the boundary and a good amount of ancient crab apple. This has been a lovely hedgerow on the top of a high ridge with clear views to Old John and Bradgate Park. Owners: Mr Anthony Cooper, Southfield Farm, Rothley, Leics. The other side of this hedgerow is the parish of Wanlip and the hedgerow runs down by the side of Broadnook Spinney (which is in Wanlip Parish) and then comes out on the old A6. This was to be our last day looking at hedgerows until the autumn as the vegetation had grown so much as to obscure the features of ditches and stones, an important part of our survey. It has to be noted, Brian, that it has been quite a relief to record species when they are in leaf instead of the bare stems of winter! We recorded the first 60 metres before leaving the site and I must say that I have been so pleased to see so much Crab Apple. 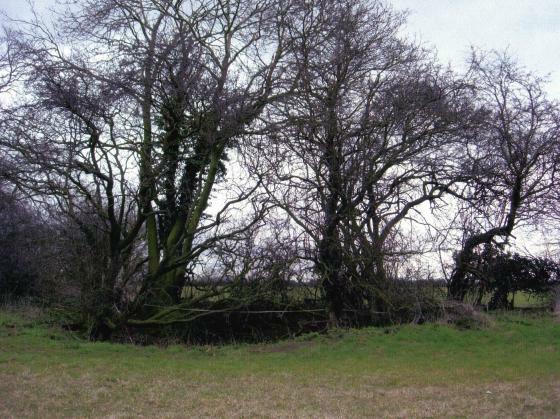 The ditch is in evidence with a parallel hedge and the thicker trunks of hawthorn on the Wanlip side. We hope to start again in October/November. We should have started earlier but snow covers up just as much as vegetation! However, we eventually had a dry day although with threatening skies. The third part of Stint 22 still has a good ditch and parallel hedging with the large trunks of laid hawthorn again on the Wanlip side and blackthorn on the Rothley side. A few bluebells were in the ditch at the start of Stint 22C. 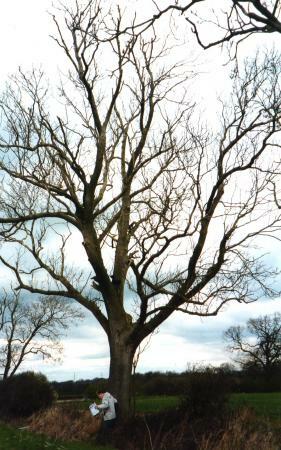 There is an Ancient Ash Tree 520 with a girth of 3.1m, typical in this area as a boundary tree. The hedgerow is a mixture of ancient hawthorn, blackthorn, prunus sp. and elder. Stint 22D also has Dog Rose but is otherwise identical to 22C. This is the stint where we meet the start of Broadnook Spinney in 23D, which will be with us until we meet the old A6. The spinney is in the Parish of Wanlip. 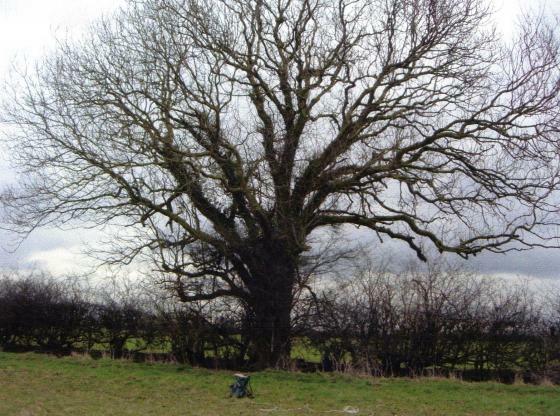 The whole length of this stint has a ditch with ancient trunks of laid hawthorn on the Wanlip side and a hedge on the Rothley side of hawthorn and blackthorn for about 85% of its length. In Stint 23A there are two stands of Ash with multiple trunks, one with six and one with nine all appearing to come from the same two base trunks. 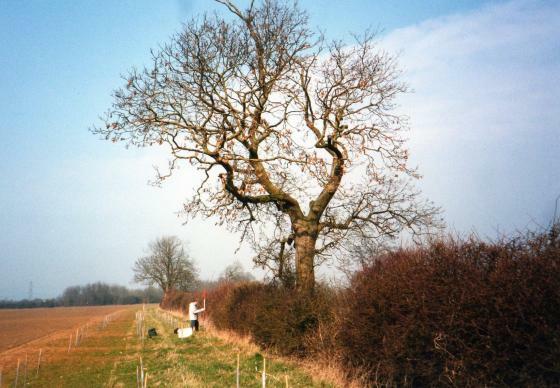 In 23B there is a small oak, which is multi trunked at 1m, possibly lost its leader when the hedgerow was cut? 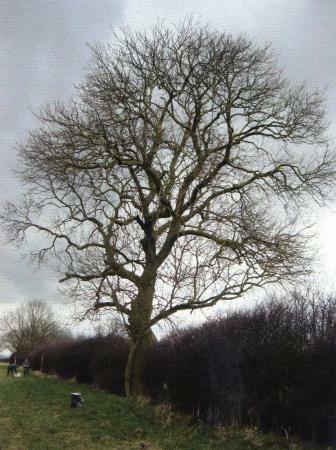 There is a large Ash Tree 521 at the start of stint 23C with a girth of 2.8m, a typical boundary tree. In Stint 23D we see the start of Broadnook Spinney and at the start of the spinney there is a definite depression looking like an old pond. There was no water in it but we have had a dry winter according to records. It is also interesting that this 'pond' has Ash Tree 522, with a girth of 2.9m,on the far bank and 5 ancient trunked hawthorns in a circle around the 'pond' edge, also an old dog rose. The ditch which runs the whole length of this part of the hedgerow ends at this 'pond' and continues out from the other side but at a higher level. In the last 10 metres of 23D we still have a shallow ditch and on the Wanlip side there is a line of individual old hawthorn trees with the blackthorn on the Rothley side being thick and dense. 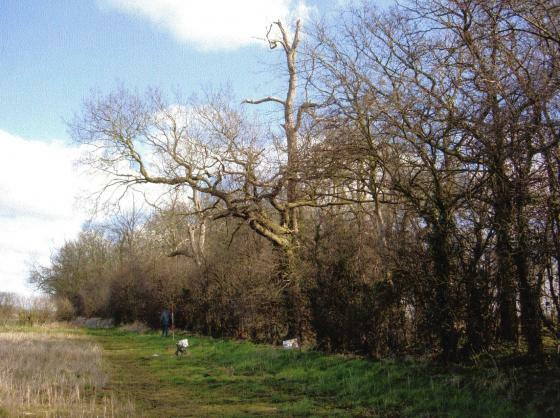 There are many dead Elms on the Wanlip side in the start of the spinney. The whole of this stint is a mixture of ancient hawthorn, blackthorn, dog rose, elder, ash, prunus and just one oak. 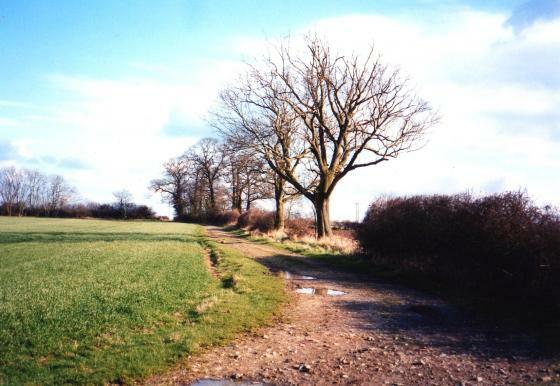 The Ash Trees are a feature of the Rothley boundary. Brian and I were checking the growth of Bill's Wood and walked past this part of the boundary. A 'cut through' had been made just at the start of Broadnook Spinney making a considerable gap in the field boundary hedgerow. More destruction of an ancient and modern parish boundary. Owners: Mr Anthony Cooper, Southfield Farm, Rothley. This stint starts just beyond the pond-like depression in Stint 23D. I had a word with Anthony Cooper about this and he said that it had been there is his living memory and felt that it was a pond due to the siting of the old hawthorns around it. In the first part of this stint we still have a double hedge with hawthorn on the Wanlip side and thick blackthorn on the Rothley side. However, it is very interesting to note that the hawthorn has not been laid; they stand as individual trees but not of great height. This must have been because this part of the boundary also had woodland planted at the back of it, not open fields as in Stints 22 and 23. The woodland is the top of Broadnook Spinney, which is in Wanlip Parish, and narrow at this point. There are a lot of dead elms and also Ash Trees in this spinney, which appears not to have had any management for many years. It will look pretty with Red Campion, there are a few Bluebells but I was very pleased to see some Sweet Violets in flower. There is still a shallow ditch running the length of this stint, about 40 individual hawthorns on the Wanlip side but much fewer on the Rothley side but when in leaf it would give the appearance of a continuous hedgerow. 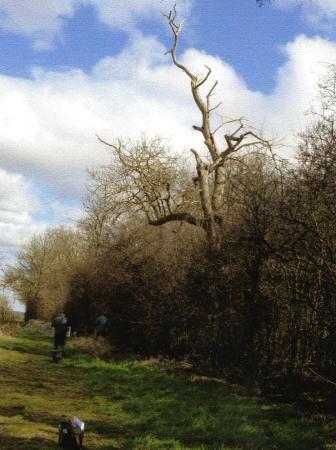 The remaining part of the stint has the same hawthorn spacing and appearance on the Wanlip side with one Oak, Tree 523, and two Ash, Trees 524 and 525, planted as part of the boundary. When we reach 24D we start in a new field Site 203 First and Second South Wong and there is no double hedge, just the Wanlip hawthorns. However, there is a line of straw bales where the Rothley double hedge would have been, as cover for guns during the shoot. These bales may cover cut back hawthorn stumps but I will have to wait until we reach the end of the bales to see what happens. The whole stint is the usual mixture of hawthorn, blackthorn, elder and dog rose but the blackthorn is not in evidence for the last 90 metres. It will be interesting to compare a boundary backed by a spinney to one backed by open fields. XHTML 1.0 validated. WCAG compliant. Page generated in 0.1896 seconds.